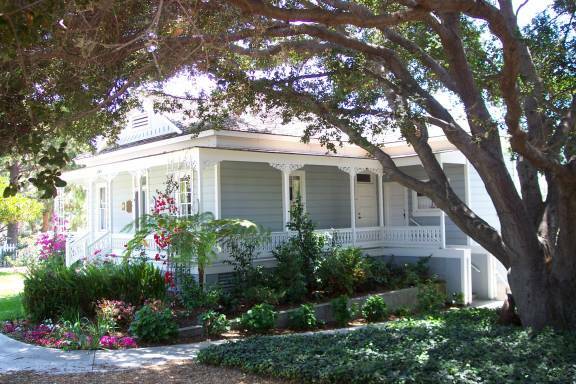 The Garcia/Pryor residence, now known as the O’Neill Museum, is located at 31831 Los Rios Street. It was built between 1870 and 1880 by Jose Dolores Garcia, a saloon owner, for his wife, Refugio Yorba. It was one of the first frame houses in San Juan Capistrano. It was originally located on the lot behind the present El Adobe Restaurant. Unfortunately, Garcia was murdered in 1896 by Manuel Feloros, who was tried and convicted. He was sentenced to hang, but the sentence was reduced to life in prison. This sentence was also reduced, and he was free in a few years. A story circulated in town that several prominent citizens wanted the land at Forster Street and Camino Capistrano on which the saloon was located and had paid Feloros to kill Garcia. Nothing was ever proven against any of the town’s citizens. In 1903 Albert Pryor purchased the house and his family lived there until 1955. Then the house was rented periodically, but the “ghost” of Albert Pryor was supposed to sit on the porch occasionally and this frightened the tenants away. 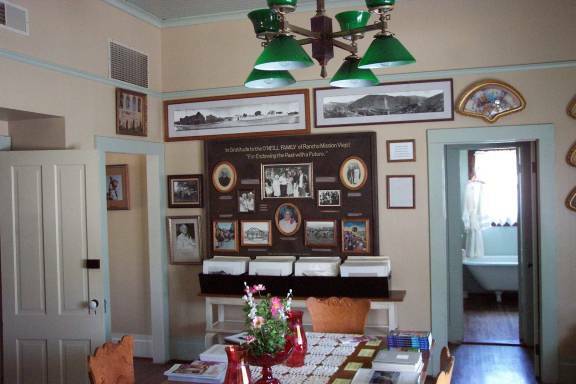 Finally, in 1976, the Cornwell family who owned the El Adobe Restaurant at the time, donated the building to the San Juan Capistrano Historical Society. The Society raised funds in order to move the house across the railroad tracks to a new location on Los Rios Street. The property was leased from the Oyharzabal family who have since donated the property to the Society. 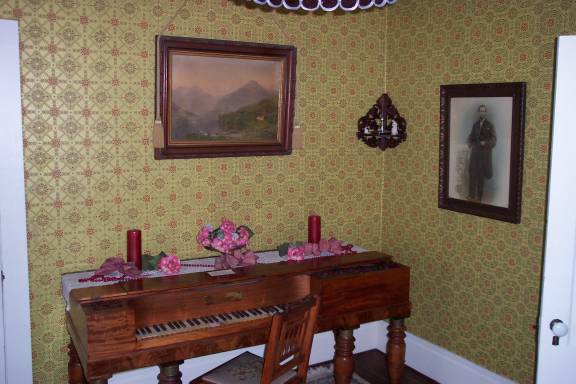 The members of the Society restored the house and furnished it with period furniture. The cost was over $100,000 which was raised by donations and fund-raisers. The O’Neill family donated $60,000 and the building became known as the O’Neill Museum in honor of Marguerite O’Neill. The house was originally constructed as a four-room home with no bath or kitchen (most cooking was done outdoors). About 1895 a bath was created in the back bedroom, closets were made from space in the front bedroom and other alterations were made. 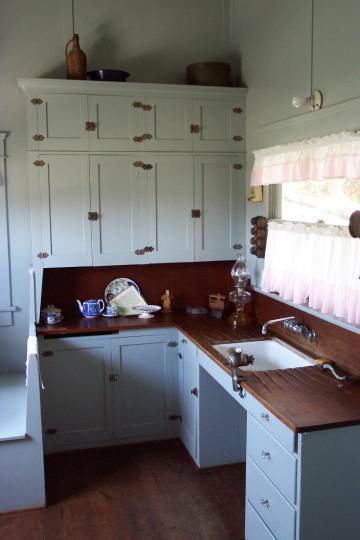 In the 1920s the kitchen was added although it still did not include a stove. The house is constructed on a platform formed by stud walls around the perimeter. Lines of posts on the interior supported beams which supported the floor joists above. The porch was probably built at the time of the original building. One inch boards formed the original floor. Later it was covered with oak strip flooring. Exterior walls were of 1”x12” redwood boards. Interior partitions were also rough 1’x12” boards. All doors and windows were boxed due to the thinness of the walls and projected some distance into the interior. The inside wall finish was wallpaper over muslin applied directly to the rough boards. 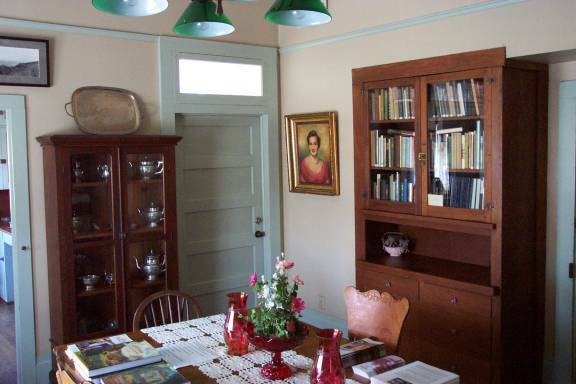 About 1920 a layer of ¼ inch gypsum wallboard was laid over all walls and ceilings and then painted. The kitchen was built with conventional stud walls. 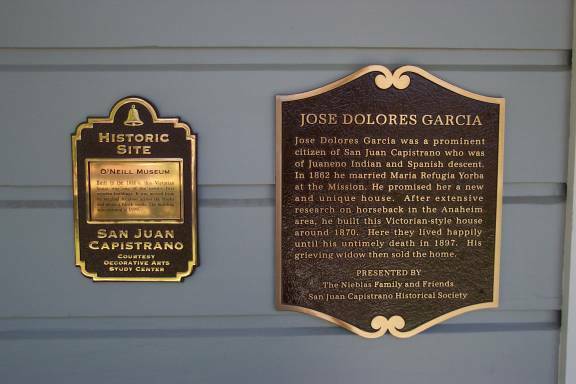 Jose Dolores Garcia was a prominent citizen of San Juan Capistrano who was of Juaneno Indian and Spanish descent. In 1862 he married Maria Refugio Yorba at the Mission. He promised her a new and unique house. 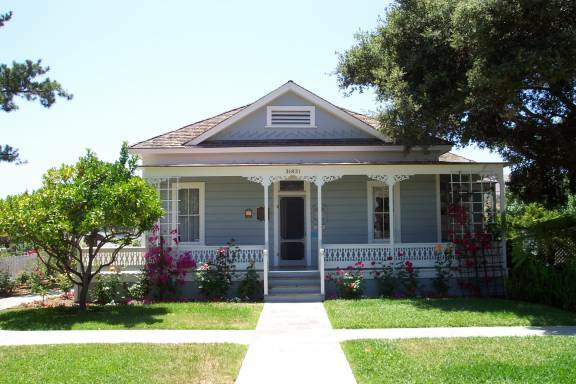 After extensive research on horseback in the Anaheim area, he built this Victorian-style house around 1870. Here they lived happily until his untimely death in 1897. His grieving widow then sold the home. 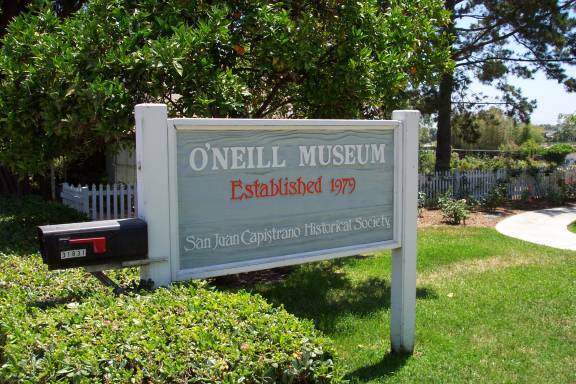 The O'Neill Museum is located at 31831 Los Rios Street. See map.